The Atlanta Braves survey their fans about preferences in order to enhance in In-Game experience and fine tune their marketing efforts. iCapture provides a customized, offline capture solution, perfect for canvassing the crowd at the ballpark. Offering a chance to win is a great way to increase your opt ins. Offering a prize perfectly tailored to your audience is brilliant. 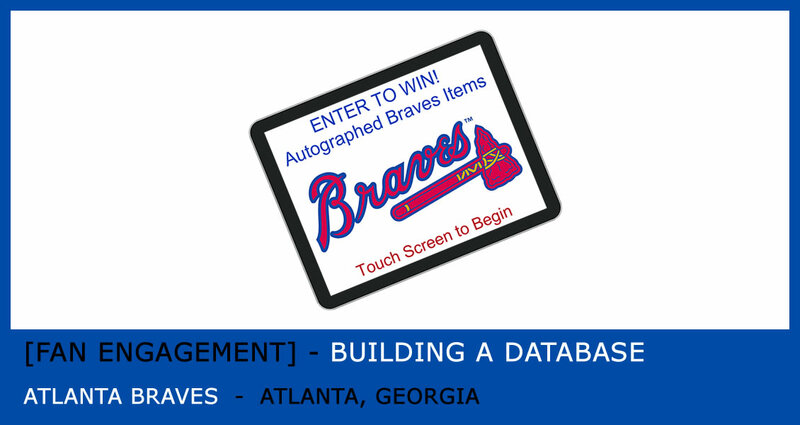 The Braves gave fans attending home games the opportunity to win gear autographed by Braves players, a perfect match and highly successful promotion. How do you know which of your products, services or promotions your customers want to see more of? Ask them! Sports teams are always looking for ways to improve the In-Game Experience for fans. The Braves survey attendees about which promotions, players and even foods their fans prefer, ensuring happy customers and repeat business. iCapture’s software eliminates the need for Wifi and paper forms, making remote data capture a breeze. iCapture safely stored data on the iPads until the marketing staff got back to the office and reconnected to the internet. Data was then instantly available via spreadsheet. No paper or double handling of data required.